Providing Commercial Paving or Residential Driveway services near you. If you are ready to get a free, no obligation quote on parking lot or driveway installs, repairs and sealcoating then give us a call or send us an email and one of our estimators will reach out to set up a time to give you a free estimate. Are you looking for companies offering paving near me in New Haven, CT? If so, you have come to the right spot. 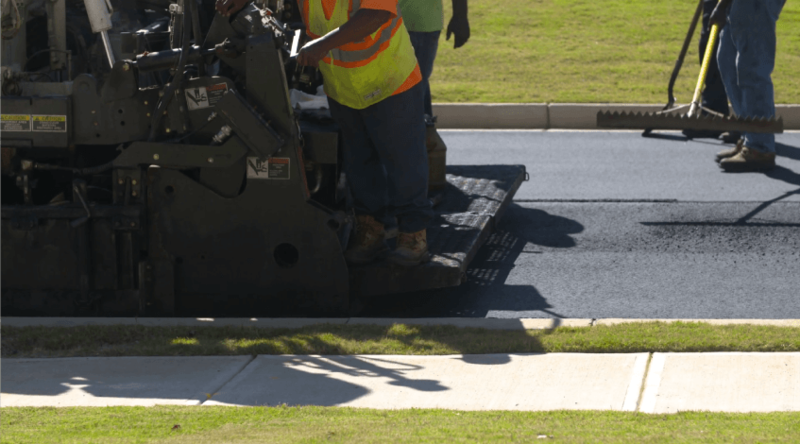 New Haven Paving provides a variety of high quality residential and commercial paving services throughout the area including Milford, West Haven, Hamden, Shelton, and Woodbridge, CT. As your paving company, we provide every asphalt paving service you could need. We are licensed, bonded, insured, and highly experienced paving contractors. If you’re looking for paving near me, you can turn to our team for the best results for an affordable price point. This contact us page gives you an easy way to contact us and receive your free, no obligation paving estimate. We will get back to you as quickly as possible with an accurate estimate that you can count on. Simply leave us a message and we’ll give you a reliable response. Each response we receive from our clients is taken seriously. We put customer service at the top of our services. Whether your project is time sensitive or you require a few minor asphalt repairs for your parking lot or driveway, you can trust us to give you an on-time response, so you can make a decision. Does your home or business need a new driveway? We offer asphalt driveways that drain properly and will add value to your property. If your parking lot is in bad need of repairs or if you simply need a new one installed, we can help. We also offer replacement and repaving services that you can trust. From filling in potholes to sealing cracks, our asphalt repairs are designed for any sized project. Simply let us know what size your project is, and we’ll get back to you with a clear paving estimate. Maintenance services are another area we can assist with. For example, we also provide sealcoating services. Sealcoating is a great way to protect your asphalt from the weather and other issues. You can rely on our team to keep your asphalt looking great. Our specialty paving services include installing basketball courts, tennis courts, pathways, golf course paths, and so much more. If you have asphalt we can repair, repave, or install it. Get the asphalt paving support you need to enjoy a high-quality result for your property. At New Haven Paving, we are highly experienced, and we also have a long list of reviews from satisfied customers. Above all, we can help you with your asphalt paving no matter how big or small of a project you may have. From warehouse parking lots to HOA’s, we pave it all for an affordable cost. Whether you live in New Haven, Shelton, Woodbridge, Milford, or West Haven, we offer a wide range of paving services you can count on. Contact us via this page for a free paving estimate for your project. We look forward to meeting you.